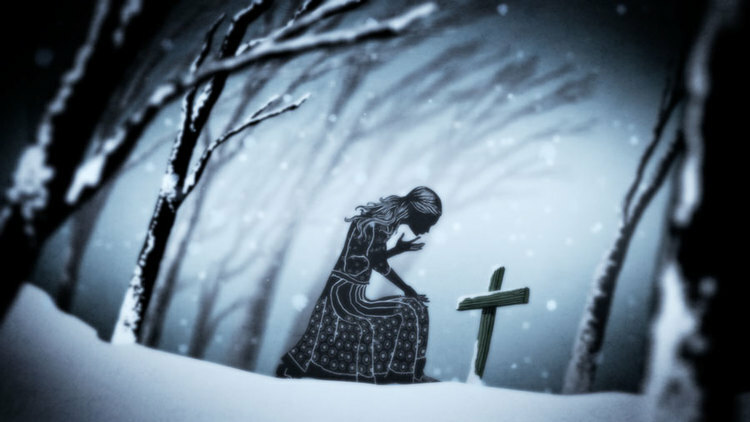 Snow Maiden — Fortsunlight - video & motion graphics production based in Fife, Scotland. In 2012 we were approached by Kudos Productions to create a short animation that introduced the final episode of the BBC & HBO drama "Hunted". The show-runner Frank Spotnitz (the X-Files) wanted a fairytale feel in order to tell the story of the 'Snow Maiden' - a magical tale that has special significance for the central character.